A couple of months ago, Patty, March and I had lots of fun doing some blind testing. During the course of that blind swap, a $3 Russian cologne has been compared to Mitsouko and one of my holy grails has been called “rubber feet dipped in amber”. (Holding a grudge, moi?) Time has come for a second blind swap and this time round we decided that having more victims…swap partners would be more fun. So, over the course of the following weeks you will see posts like this one on various blogs and I hope you enjoy the project as much as we had. To make it more interesting for you, I decided to have a small prize draw. If you would like to receive samples of the three fragrances described below, please indicate in your comment that you would like to be entered in the draw. The name of the winner will be chosen randomly and announced on Thursday. Do not hesitate to participate if you do not reside in the States, I can mail anywhere in the world. My two victims…blind swap partners (assigned randomly) were March of Perfume Posse and Katie of Scentzilla. I sent them 3 samples, withholding the real names of the scents. I called my mystery samples Ad astra per aspera, Bene qui latuit bene vixit, and Certum est quia impossibile. On the subject of my using Latin phrases, which are unwieldy, pretentious and have little to no relation to the actual perfumes, I have only this to say, if People of The Labyrinths can do it, so can I.
I had trouble getting a read on this, so eventually I dumped roughly half the decant on my arm. Sometimes this weird thing happens where I feel like the fragrance is just refusing to meld itself to my skin and start opening, and this is one of those times… okay, on me this is a sheer, powdery floral with a retro feel. I’m digging around in my candy box, looking for comparisons. It’s definitely not Miss Rocaille (did the Grim Reaper forget to put the Caron base in that one? … wow, what is that in Miss Rocaille? Galbanum? It’s sending a Vent Vert laser up my nose … no, wait … here comes the Reaper, only he’s sort of mini-me, the Petulant Reaper, more like Yoda armed with a nail file) … whoops, wrong fragrance – where the hell was I? Oh. Back to Ad Astra: what I like about the powder, which I’ll tolerate a fair amount of in vintages, is that it’s shimmery rather than dusty. Okay, this isn’t precisely the game, but I’m going out on a limb here: this smells like Soir de Paris to me – closer to the original, not the reformulated, which is sweeter. I get that same sort of violet/powder/green trifecta, which makes me want to put on my taffeta ball skirt and go dancing. Orange Pez and white florals, with a woody accord at the base. I think there might be a wee bit of something animal in the base, too, but I cannot be sure. It died fast on me - too fast to make any strong impressions. And the mystery fragrance was…the strange, the unsuccessful, the discontinued Lumiere by Rochas. 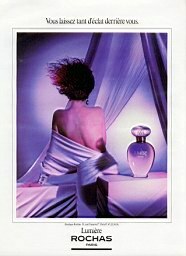 According to Jan Moran, Lumiere has notes of coriander, honeysuckle, greens, fruits, bergamot, orange blossom, magnolia, acacia, tuberose, jasmine, lily of the valley, ylang-ylang, hyacinth, sandalwood, ambergris, tonka bean, cedarwood, moss, vetiver, musk. This is an odd, pale, uncooperative although not unpleasant scent that, like March said, indeed refuses to meld itself to one’s skin and just sits there, green, proud and slightly plasticy before disappearing, as Katie justly noted, rather fast and for good. Holy incense, Batman! Marina's sample kicks off with a big whoosh of saffron, warm and woodsy, with cedaric intonations. This dries down to what I'm guessing is a mix of "num"s - olibanum and labdanum. It's nummy goodness! Aw heck, you know I'm pretty sure there's a bit of patchouli thrown in there for good measure, as well. I dunno, I might need a bottle of whatever this is someday. Someday soon. This sample smells eerily familiar to me. I can't really place it, though. Delicious, in a peculiar way. There could be some cedar in there – it’s skating right on the edge of the B.O. thing, but as long as it doesn’t cross the line we’re good. There is something dark and sweet, but not fruity – if this fragrance had a color, it would be a deep, rich purple-blue, like the color of my favorite type of iris, or an early summer evening … wait, it’s doing something again … wow, what is that? Something more masculine. A leathery incense smell. Honey, did you pick these out just because you knew I’d love them? I don’t care if it’s Axe Man Spray from CVS, I want some. Although it isn’t Axe. It’s too expensive, and the development is too complex. Is this one of the PGs I haven’t tried? It’s got that solar strangeness. It reminds me a bit of that little part of Aomassai that didn’t make me want to vomit. Okay, now the sweet is going away, which makes me sad, but I’m winding up with a perfectly serviceable unisex-niche-frag-woody-incense smell. It has a lightly caramelized drydown, faintly nutty, and I’m going to ignore the slight edge of … something (vetiver?) I’m not wild for, but I can’t smell it unless I’m sniffing closely. There. Do I get a cookie? How about a big decant instead? 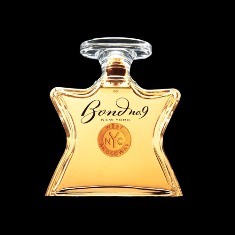 The fragrance that was such a big hit with the girls was…the underappreciated, the rarely-mentioned, the fabulous West Broadway by Bond No 9. I reviewed it once before wondering at the remarkable discrepancy between the official list of notes and the actual juice. West Broadway is described by Bond No 9 as a “lime gimlet”, laced with crisp greens, mate, and sheer musk, and to that I can only say, Huh? Granted, there IS something subtly limey-fruity, vaguely gourmand about this scent, but it also woody, a little smoky and certainly has quite a bit of incense. An obscure gem among the Bond No 9 fragrances, West Broadway deserves much more attention and adoration than it gets and I am so glad that Katie and March liked it as much as I do. Rowr! This one begins as if it's going to rate high on Marina's Skank-o-Meter (patent pending, I'm sure) with a glimpse at what looks like will lead into a tough animalic register. But does it wind up smelling like a bear rug still growling? Sadly, no. The distinct and overwhelming aroma of chewed up Barbie feet takes over. And while I can pretend to have perceived other notes, the truth is I couldn't get past the plastic feet. Cheap, eh? Uninteresting? Chewed up Barbie feet? To that I can only shake my head in disbelief and wonder at the mysterious ways in which skin chemistry seems to work. 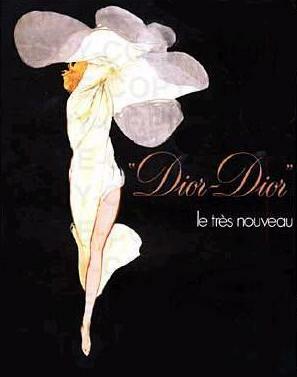 The third sample was…the amazing, the rare, the vintage, The Classic…Dior-Dior by Chirstian Dior. Created for Dior in 1976 by Edmond Roudnitska, Dior-Dior is a fresh, slightly fruity chypre with notes of peach, prune [could this be March’s plastic cherry? ], cumin [here’s is Katie’s skank], aldehydes, bay oil, jasmine, narcissus, jonquil, lily of the valley, lilac, carnation, sandalwood, leather [some more skank], civet [lots and lots more skank!] oakmoss and amber. This bracing, slightly minty, very elegant fragrance seems to me (and of course IS) closely related to Diorella and, like all the best (vintage) Diors, this very refined perfume has a dirty, animalic, skanky side that I find extremely appealing. The image of Barbie with chewed off feet is from nancysdreamhouse.com, the Lumiere ad is from Images des Parfums, the West Broadway ad is from Bond No 9 Fragrances and the Dior-Dior ad is from okadi.com. Please count me in as well. I would love to smell uncooperative. Dior Dior...One of the Roudnitska I never smelled. How could I have overlooked it, Barbie feet'n'all...? Include me in the draw! Wow, we have trouble staying away from the feet imagery in these blind swaps... Barbie feet I can totally see. Remember one of the reasons I sent Diorella off to you is that it was so fickle on me. I will have to go back and re-smell -- lordy, I got *no* skank at all -- am I nuts?! That West Broadway was delish... I think its name bores me so much (makes me think of pink, sweaty tourists) I never payed attention. Mistake corrected! OK. I think my head is concussion free after that hard knock it took from falling on the floor after realizing it was my beloved Dior-Dior that was being called cheap, uninteresting (gasp!) and like chewed up Barbie feet. Obviously I MUST go out and get a Barbie post-haste and see if my sweet canine child will chew up those feet to produce this most fab of scents. And I will have to retry West Broadway *immediately*. LOVE these blind tests! Please count me in on the sample giveaway! You girls are so fun. Wonderful! Yoda with a nail file...chewed up Barbie feet...people in surrounding cubes are wondering why I'm laughing so much. I have got to stop reading this stuff at work. :-) "Smell uncooperative". Maybe you'd have more like with the stuborn Lumiere. You are entered in the draw. You are entered in the draw! You are entered in the draw! And I do hope you won't get any feet, Barbie or not Barbie, from the fabulous Dior-Dior! One doesn't often hear about Dior-Dior, does one. Even less often than about Diorling or Diorama. You are entered in the draw! Maybe the kind of image you had with the scent named West Broadway is what makes it so unpopular with other people too? Firstly, would it be GREAT if you had a blog!!!!!! Thank you, you are entered in the draw! West Broadway really is one of those scents where the list of notes little or almost no relation to the actual juice. They describe it as a citrusy cocktail of some sort, but it is really much more than that. chewed-up Barbie feet? Weird thing is, I know exactly what that smells like. You guys are so odd, but in a good way that I understand. Dear Colombina, what a wonderful post. Who'd have thunk that Barbie feet and Yoda would appear in the same vicinity. LOL. Truly, though, I love your Latin names for the blind samps. As a Latinist, I am delighted to see this and agree: if POTL can do it, you can, too. As much as I'd like to be put in the pot for the drawing, I'll have to decline since That Thing might be headed for the Gulf and who knows what we'll be doing in a week. Thanks for such a great post to brighten the day! I am very happy if our little project amuzed you and brightened your day! How big of a fool? A very big one. You'll know why soon. ;D Well, it's not that bad, really. And it has nothing to do with the kind of fool you're thinking of. It's a different kind of fool. But that's all I'm gonna say. After I change my Depends, could I please be added to the draw list? I am all on pins and needles now. You are added to the draw! The blind test of Dior-Dior was shocking! 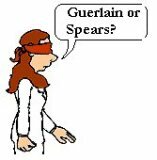 How interesting to read the blind test. It make me think how important brand names are for the overall "picture" of a fragrance. Please count me in as well even if I live in The Netherlands. Great entertainment! And thank you for letting me play along with the W. Broadway - clever! I did ignore before but do now like it very much. So thank you for the introduction, too :) No need to be entered this time but I love the concept! You are not alone: I had a weird Scandinavian Barbie substitute - whose name I can't even remember - as well as, for a short time only, a Sindy Doll (an English version of Barbie, I believe). She only lasted a short while bcs I tried to bend her legs into a yoga pose (weird child) while driving to some place with my parents. The left one broke off when I tried this, so I didn’t try the right one. I even have an exact memory of the exact place on the road where the break happened. ANYWAY, I love this blind testing thing - although I would be hopeless, being a relative neophyte and knowing NO niche scents whatsoever; but I’d love to be entered into the drawing, please! I am so glad you like, both our little game and West Broadway!! Yeah...I've done some unspeakable things to dolls too, heh, in my time :-) Welcome, and you've been entered into the draw! As Chaya points out below, it's the impressions and the emotions that count. Sigh, so no one else thinks "chewed up Barbie feet" then? Only March and I can see it? GAH! We're crazy. I think it's hilarious that West Broadway is advertised as a lime scent. Seriously, it's all about the incense dry down as far as I'm concerned. I still can't quite pin down what it reminds me of, but I'm tempted to say that in tone it reminds me of the way 212 Men wears on my skin... Ach. I really pereceived no lime. Mostly a medicinal warm edge with lots of cedar at the top. Sheesh. Shows what I know! I want a bottle with that Bond ! Give me all Bonds!